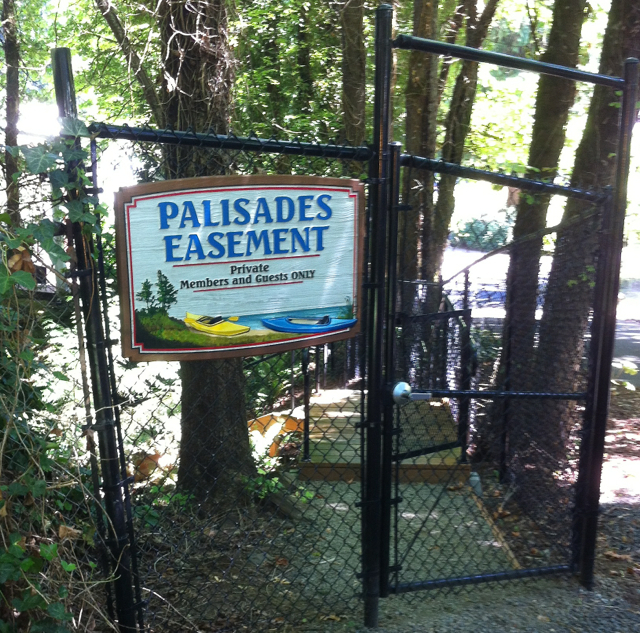 The Palisades Park Community Club is an easement property, on Oswego Lake, providing year-round lake access to all members of the Club. 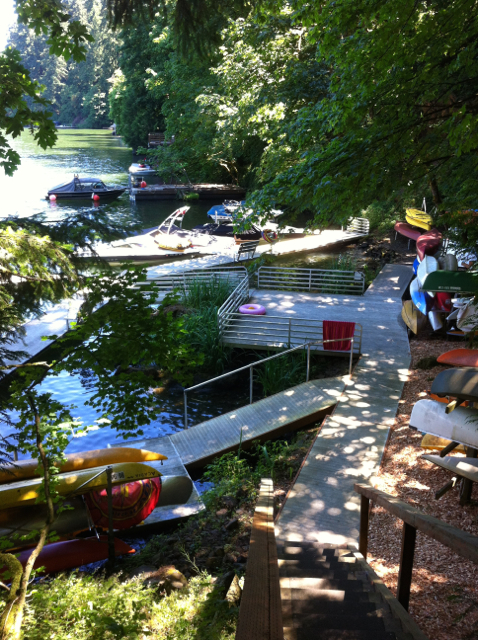 Lake access includes opportunities to swim, picnic lakeside, fish, or get on to the lake in your own watercraft-- canoe, kayak, paddle board, sailboat or powerboat. Read on to learn about Club facilities, or click below to view some easement photos. Our easement lies at the mouth of a steeply cascading stream, flowing through a forested cleft in the palisades that are the namesake for our neighborhood. From the locked gate by the parking area on Cedar Ct., 235 mostly aluminum stairs descend steeply, but safely, along this watercourse, to the Easement. There, you will find facilities including non-slip aluminum decking, ramps and docks that create 8 power boat slips (each accommodating a 22' boat), a kayak ramp, and a low-rise kayak loading area with shallow water for easy entry and exit. 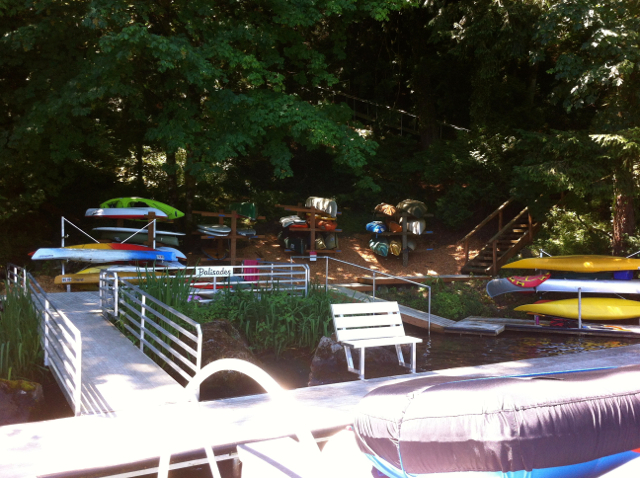 There are also 39 kayak rack spaces for storing kayaks, canoes or paddleboards plus 8 slots in a paddleboard-only rack; some rack spaces can accommodate more than one kayak or paddleboard.